Honest, Full-Service Plumbing That Won’t Keep You Waiting. 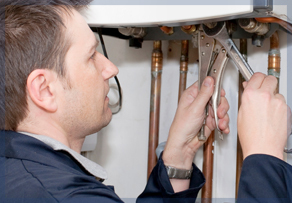 Call now for expert workmanship and affordable prices for all your plumbing needs. Quality service for your leaks, clogs, faucets, and more. Start saving today with our energy efficient upgrades. Updating plumbing is a crucial part of any renovation. We’re fully equipped to service your restaurant or office. Are you experiencing leaks, clogged drains, or failed plumbing? Or, maybe you’re planning a home renovation. Whatever your plumbing needs, you can count on Cicotte Plumbing of Fraser, MI to provide unmatched workmanship for a wide range of affordable services for your home or business. With more than 23 years providing professional plumbing services in Wayne, Oakland, and Macomb County, Michigan, we have a long-standing reputation for quality service and customer satisfaction. Our certified plumbers are licensed and insured for your protection and are highly trained in servicing old and modern plumbing fixtures. Learn how you can start saving on your energy costs today by switching to an efficient, long-lasting tankless water heater. The contents of this webpage are Copyright © 2019 Cicotte Plumbing & Drain. All Rights Reserved.